Why Kicks and Giggles USA? 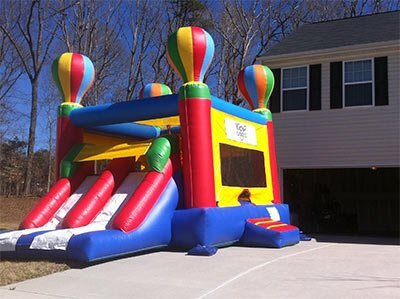 - Kicks and Giggles USA | The Premiere Inflatable Moonwalk, Jump House, Waterslide, and Bounce House Rental company in NC. 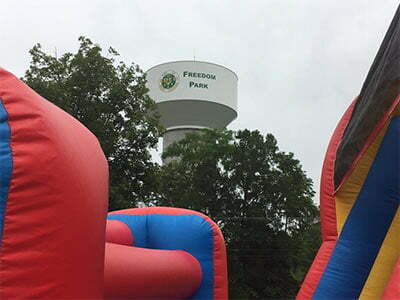 Why Choose Kicks and Giggles Inflatables for your next Event? in Greensboro, High Point, Burlington, Winston-Salem, Kernersville, Lexington, Thomasville, Mebane, Graham, Durham, Eden, Reidsville, Asheboro, and more. Wonderful company to rent from. Biggest selection of any company I looked into. The gentlemen setting up were so nice and made sure everything was set up safely. Customer service was awesome, and payment was super easy to do online. This place is AWESOME with uncanny customer service! The customer service is amazing. They go out of their way to accommodate you. The reservation process is simple, and the online invoicing makes making payments and printing receipts a breeze! Its was pretty awesome how they treated me on the phone I really appreciate what they did for me for my sons birthday we had a really good time and thanks kicks and giggles for the survey y’all did thank you. Great experience! My 4yr old granddaughter loved the frozen castle. Thanks for making her birthday a success. Kicks and Giggles was so very easy to work with. The on-line reservation and payment process was easy to use and the customer service, via e-mail, was prompt. I could not have found a better rental company and would highly recommend Kicks and Giggles to my friends. Very prompt in answering emails. Staff has been very kind, on time and very thorough with explaining the equipment as well as setting up. We will most definitely be using KicksandGiggles in the future as well as give good reviews to friends. Everything was perfect! From the time I spoke to the nice lady to book the event down to the two gentleman that delivered. Everything was professional and the staff was Outstanding!!!!!! Thanks a bunch I will most definitely recommend you guys! I couldn’t be happier with the fantastic customer service and with the whole rental process. They were friendly, professional, efficient and more! The prices are great and they have an really wide selection of items to choose from. I will definitely be hiring again from kicks and giggles and will recommend to all my friends! Five stars! We rented the dinosaur bounce house for our son’s 4th birthday party. The house was delivered early which allowed for extra bounce time for our son. The kids had an absolute blast and we were more than happy with the decision to rent the house. It was worth every penny!!! Every aspect of renting an inflatable waterslide from Kicks and Giggles was wonderful. The reservation process was quick and simple, they arrived at the perfect time an hour before our event, and had the waterslide up in less than 10 minutes. The waterslide more than met our expectations and provided many hours of fun for our 9 year old, her friends, and her adult family members! We will definitely rent again from Kicks and Giggles soon – they were great! Very easy and fast to make the rental. Customer service was extremely helpful in answering all questions. I would highly recommend the service! We loved having Kicks & Giggles help us out with our second community event! Wonderful customer service and friendly staff! The assistance in helping us plan on a budget was great. The Jumbo slide was a favorite for the day, and the sno-cones were delicious and refreshing! 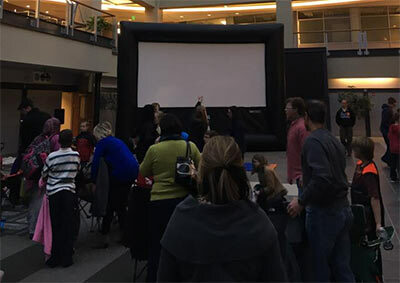 Thanks for helping us make our event a success! We will definitely use Kicks and Giggles for events in the future! Really appreciated the great customer service and promptness of getting in touch with me for my rental. I was renting on short notice but they had a wide variety for me to choose from and we’re able to fulfill my request. They were flexible with hours and the booking process was so easy. The children at the birthday party really enjoyed the inflatable bounce house combo. The staff were very friendly on the phone, during delivery and pick up. I will most definitely rent from Kicks and Giggles again. Thank you. I love this company. You can always depend on Kicks and Giggles. EVERY individual I had came in contact with from the lady who I had spoken with on the phone to schedule the event, to the folks who had came to set up and take down the bounce house, answered any and all of my questions, very kind and over all were just PHENOMENAL. Not only would I use you guys again for future events; I’d also HIGHLY recommend you guys to anyone who was interested in renting a bounce house/slide, etc!!! Great customer service and I have rented from kicks and giggles 3 times and will do it again later this year ! My kids just love the bouncy house choices they have ! Thank you! Nothing but praise. Staff is very courteous and helpful. Always a good experience! Thank you! I’ve worked with Kicks and Giggles for the past two years for my children’s birthday party. It has been an easy, seamless, process. They are very responsive to questions and are very courteous. I cannot say enough good things about them and would recommend this company to all of my friends. Staff arrived on time to set up and have instructions about products. Picked everything up on time and with a quick clean up. Great service! Thank you Kicks and Giggles! Kicks and Giggles was very friendly both on the phone and with delivery of the bouncy house. I had to reschedule my event and that was not a hassle at all. I was treated very kindly and will definitely use them again! Everyone was extremely nice and helpful. We’ve had a great experience both times we’ve used Kicks and Giggles, and we can’t wait to use you for our next event! Thank you so much for making our daughter’s birthday the best one yet! I’m very very pleased with the prompt, flexible and friendly service at K&G! 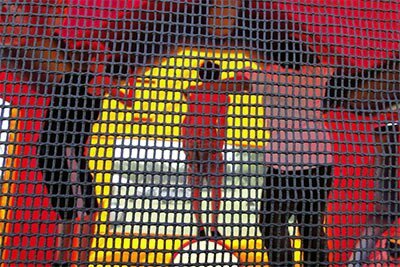 I decided the day before that I wanted to rent a bounce house for my kids to burn some energy off. I spoke with Beth that same day and she thoroughly explained the process from start to end. I loved that the contract and selection process was all available online. This made for a very speedy experience. The next day Dave and his team showed up ahead of time and ready to setup!! I loved that they were early, fast and friendly. I would absolutely recommend and rent from K&G again! Thanks! Very satisfied with everything! Great company and great products! Everything about the company, the items, the service was beyond excellent. The staff worked with us patiently to find another date for our event (Head Start Mini Olympics), and delivered selected items in a timely manner. Ms. Staley offered our agency decent prices for all items, and even gave me the desired price for one inflatable house instead of the normal price. The one man crew who delivered items and set them up was the most friendly and accommodating person that I have ever met in my life. This is a company that I would continue to do business with. Thank you for making our event so outstanding!! Awesome! Awesome! Awesome! The lady that I spoke with on the phone was very polite and got me the exact bounce house I wanted, even though I ordered the evening before the event! And they made sure they delivered it before the event started with plenty of time to spare! I will definitely be renting from them again! After reviewing multiple sites and customer reviews, this company caught my attention and promptly responded. This was our first experience renting an inflatable and I must say we were pleasantly surprised all the way around. The options, prices, customer service and set up was professional. Our event was a success!! I will definitely use this company every time!! We were so impressed with how seamless the whole process was. They arrived and had it set up in under 30 minutes. We didn’t have to do anything. It was a huge hit and we could not have been more pleased! We will absolutely use you again! Great experience! Will definitely rent from you again! We had the best party yet. We had about 28 kids and 30 adults and everyone loved the house. Although the adults only watched they loved that their kids were having so much fun. You made everything easy and were very helpful when we had to switch days because of rain. Your staff is wonderful, professional, friendly and I will see you next year. Thanks again! Awesome costumer service and great set up crew! I would definitely use them again!! Very impressed! We were so pleased with many aspects of your services. Not only was it easy to rent from you, but you were willing and able to help us meet our goals within our budget. The staff were friendly, kind, and very helpful from the beginning with rental to then end with pick up. We appreciate your business and your great customer service. We will definitely use you again and let others know about what a great business you are to work with! Thank you! I have absolutely no complaints of your company. You went beyond the call of duty for some of the “hoops” that were required by my administrators and the attendees helped make the event great. They knew what they were doing and it showed confidently. Thank you. My kids had a marvelous time!